"Can Modi’s government really afford a crackdown on cow economics?" When Prime Minister Narendra Modi addressed the Indian parliament for the first time in June 2014, his inaugural speech focused on integrating and protecting India’s Muslims. But instead of “bring[ing] about change in their lives,” as Modi promised, his government has made life harder for India’s Muslims by cracking down on the leather and beef industries. Muslims and Dalits (the marginalised group once known as “untouchables” in the Hindu caste system) are among the poorest in India, and they have very little access to property. By tradition and due to a lack of other opportunities, many work in the leather sector, which employs 2.5 million people nationwide. Over the past three years, this trade has increasingly made Muslims and Dalits the targets of so-called cow vigilantism – attacks perpetrated by Hindus on cow traders in the name of religion. And legislation adopted in May, which amends the 1960 Prevention of Cruelty on Animals Act, is set to victimise these populations economically. Among other changes, the new rules mandate that cows, camels and buffalo may be sold to farmers only for agricultural purposes, not for slaughter. In the northern state of Uttar Pradesh, India’s most populous state, one out of every 1000 work in cow-related industries, including slaughterhouses and the leather industry. The town of Kanpur recently saw several slaughterhouses close down, putting out of work over “400,000 employees linked to leather industries”, according to a Reuters report. The supply of local hides has declined precipitously, leading to a decrease in Indian sales of leather and leather products. From April 2016 to March 2017, total leather exports dropped 3.23% from the previous year, to US$5.67 billion from US$5.9 billion. India also does enormous trade in meat. In 2015, the main market for its buffalo meat was Vietnam, which buys up US$1.97 million worth of it, followed by Malaysia, Egypt, Saudi Arabia and Iraq. Last financial year, annual production was estimated at 6.3 million tonnes and exports totalled US$3.32 billion, according to a report in the Economic Times. That’s down from US$4.15 billion the year before. In Uttar Pradesh alone, attacks on cow related-businesses have already triggered losses of US$601 million on the state’s export business. 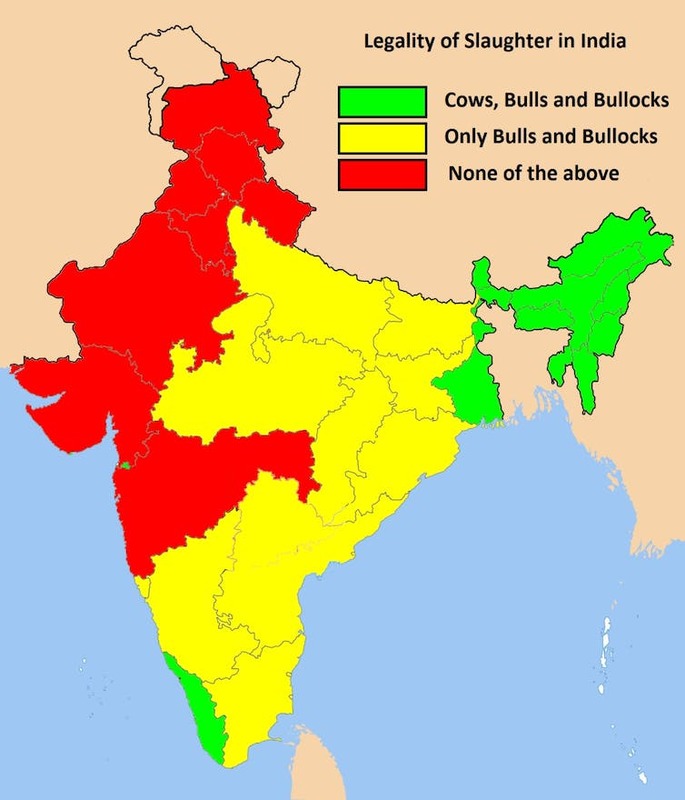 States have also introduced several coercive measures aimed at people in the cow businesses. Uttar Pradesh, whose chief minister is a right-wing Hindu fundamentalist, leads the measures. Illegal slaughterhouses have been at the core of the debate in recent months following a government crackdown in March 2017, as non-compliant facilities struggle to adapt to complex regulations, including locating shops at specific distances from religious places, getting appropriate documents from several administrations or particular freezers. On June 6 2017, the state issued a new directive to punish cow slaughter and illegal transport of dairy animals under the National Security Act and Gangsters Act, effectively criminalising traders. This has encouraged harassment of Muslims and Dalits in Uttar Pradesh. Even in the Muslim-majority village of Madora, residents are encouraged to denounce those who engage in slaughtering cows by the promise of a INR50,000 (US$1000) reward. On the west coast state of Gujarat, cow slaughter is now a non-bailable offence, punishable with life imprisonment, meaning that people who kill a cow will serve the same time as a murderer. Central Jharkhand and other states ruled by Modi’s BJP party have begun applying similar laws. The national government is also currently considering a petition to give cows an Indian identity card similar to those issued to its citizens. These new rules have reinforced the impunity of criminal groups that burn down Muslim and Dalit businesses, terrorise cow traders and brutally beat or kill people. 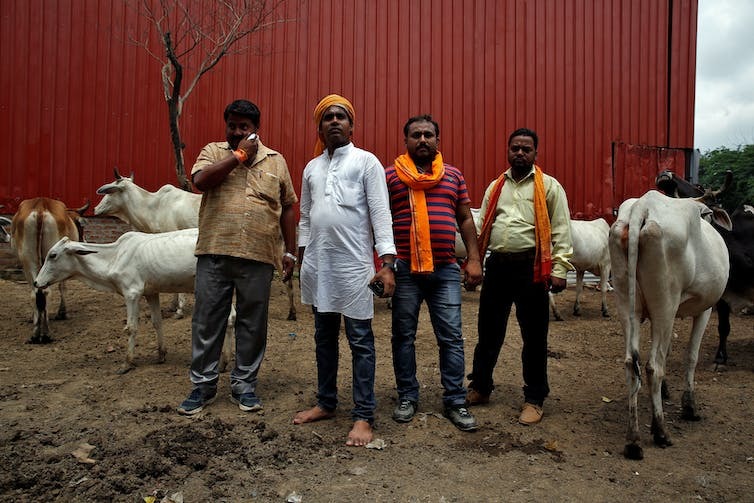 Rebranding themselves as animal activists, cow vigilantes exploit the sanctity of this animal in Hinduism to commit violence, with the tacit endorsement of state and national governments. The violence has impacted both legal and illegal traders (bulls and buffalo are not included in new regulations), generating panic among flayers, contractors, truck drivers, traders, daily wage earners, who are now abandoning their posts out of fear. The majority are Dalit or Muslim. Hindu slaughterhouse owners, on the other hand, have been largely spared by the wrath of cow vigilantes and onerous regulations. Of the country’s 11 largest meat-exporting companies, eight are Hindu-run. None of this will help already-tense Hindu-Muslim relations in India, nor does it seem to bode well for Modi’s “Make in India” initiative to boost the country’s economic production. According to the campaign website, the government hopes to increase leather exports to US$9 billion by 2020, from its present level of US$5.85 billion, and bring the domestic market to US$18 billion, doubling its current value. 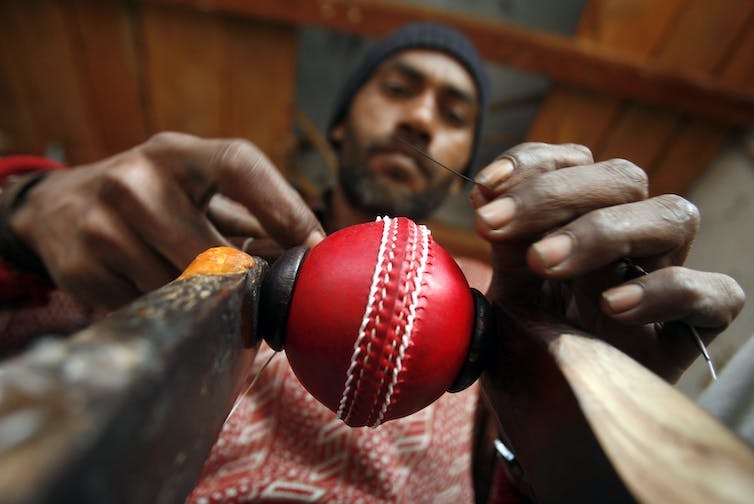 ‘Make in India’ may make some citizens very rich, but others, not so much. To do so, the government says it will focus on maintaining India’s comparative advantages in production and labour costs and ensure the availability of skilled manpower for new or existing production units. But that may be hard when Muslim and Dalit workers are being systematically singled out and harassed. Can Modi’s government really afford a crackdown on cow economics? Diversity Triumphs: Beef Festival Welcomes Rajnath Singh in Mizoram, Is Sangh Watching?